What goes down must come up… The Rise Of The Phoenix. This is a tale of starting all over again. This may sound similar to most athletes upbringings, whether you went pro or not. During elementary school, middle school and high school, I played as many sports as was probably humanly possible. Constantly practicing and playing and spent most of my time beyond school involved in sport in some capacity. From grades 6–12 I played an array of sports including volleyball, basketball, softball, lacrosse and track and field. But volleyball was the sport that my father played, and I seemed to excel more there than any of the other sports. Consequently, I played volleyball year-round alongside the other sports, making it more of a priority. This continued into college, at least for the first year. Busy does not even begin to describe it. I recently calculated the approximate time I’ve practiced and played volleyball. Not including my involvement in all those other sports, my time spent in a school gym playing volleyball alone is astounding. Approximately 3,900 hrs over 7 years. Which equates to approximately 230 waking days. I’m not sure if it was the close proximity to the ocean or such a contrast in environment, but once I moved to Hawaii my focus shifted almost entirely. The ocean became everything to me. It was my second love. I would spend hours and hours in it surfing, free diving, paddling or just playing in the beach break. It made me realize there are other things that were fun and exciting other than sport. Despite my new realization, I began to play college volleyball for the first year, but the passion was lost. The ocean had become a new passion, but I realized quickly being a pro surfer was a far-off fantasy for me. Seeing elementary school kids that could surf circles around me helped me confirm this would stay a fun hobby. During this time full of new vibrant change, I was attending school for architecture at the University of Hawaii and I kept waking up dreaming about business. Which was really odd. I had never before thought twice about it before then. This continued, which made me go to the business school and ask for any business books that professors would give me. Never had I consumed things with such vigor. Never had I used my mind to this extent. Doing so eventually pushed me to give up the 3,900 hours of time I had investing into volleyball to start from scratch in a whole new field of interest. All my friends and teammates from volleyball had gone pro and were playing for Team Canada, but I knew there was something else out there for me. Like The Pheonix, my past was burnt and I started a whole new path. Becoming an Entrepreneur. You must acquire the humility to be molded again and have the perseverance to never give up when square one is once again staring you in the face. How do you go from sport to business? How do you transfer the passion? How do you shift from building the body to building up the mind after years of intellectual neglect? Most people have a hard time with transition. Or they think they can just plow through it like it’s a simple sidestep when it’s sometimes more like starting back in elementary school all over again. And the differences between sport and business were quite a challenge to overcome. In business there is enough for everyone, collaboration is okay, and above all else, it never stops, day in and day out. Whereas in sport it’s one game or one season, and then you reset. In sport, you must win and only one team can win it. And while you may play with teams, collaborating with your competition, which can sometimes be quite useful in business, is unheard of in sport. Teamwork, leadership, and discipline are definitely a few traits athletes may possess that would transfer quite well to business. But the jump to entrepreneur is a bit tougher. So if what you want is to leap from sport to business, just know It’s a whole new game with completely different rules. 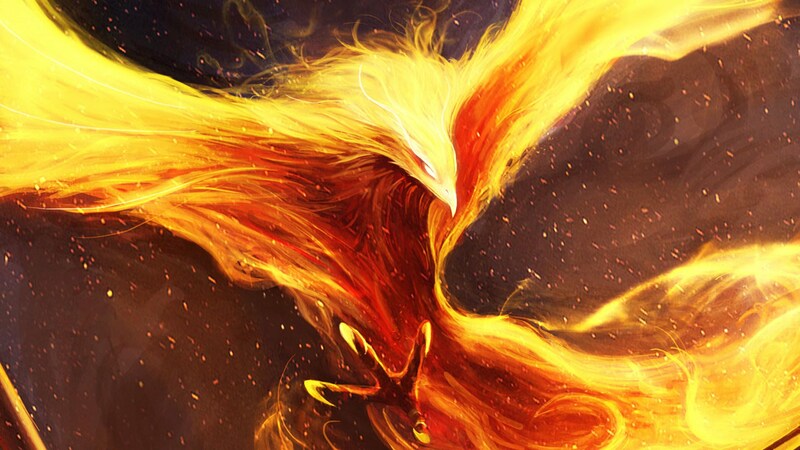 Just as the phoenix rises from the fires of refinement, so can you if you humble yourself, ask for help, and be a voracious learner, believer, and practitioner. Underdog is a term in sport that is almost instantly determined by the fans as an upcoming event gets nearer. Some of the greatest stories of all time, sports and otherwise, are about underdogs coming out on top. In business, if you are not a billion-dollar business, you are the underdog. Yes, you can try to get ahead by growing and evolving to match your competition, but remember, business is a whole different beast. The monopolies are your competition. Even when you’re just starting out. And then they only become your competition more and more as you get bigger. This is so very unlike sport, where the competition is relatively equal as you progress through the ranks. Business, on the other hand, is a free-for-all. You are always rising from the ashes like The Phoenix. You are constantly refining and improving your skills to try to get that extra step in front. I have been the underdog many times and have had some incredible wins in sport where my team and I inched out in front of competition that was way better than us; it almost book-worthy. One singular principle that will help you rise from the ashes is your will to win; that does not change in sport, business, or any other competition. But what does it take to win? Unyielding faith, a complete confidence, the ability to practice harder than the next guy and the charisma and balance to be a gracious winner. Winners will it to happen by outworking their competition. It takes everything you learned in sport and then adding a whole new perspective. It takes putting the hours in. Not just the long hours, but also the smart hours. Learn from me what not to do. It took me too long to make a successful transition because I was stubborn and proud. I thought I could do it on my own, and like most entrepreneurs, I thought I knew best. It took me a while to make the shift. I thought I had the faith and the will to win, but I lacked the skills. What didn’t help was that my family was full of doctors and teachers exclusively. I didn’t know anyone that had business experience other than my brother who was only just a bit ahead of where I was at the time. There were skills I had that were nowhere near practiced enough. And you can’t be overconfident when you haven’t practiced those vital skills. But I was. I was unpracticed, a primadonna. Maybe not so much in the sense of ‘in your face cocky’, but at least overly optimistic, and confident, when there were no base. There was no foundation built, no wisdom acquired, no skills learned. Unfortunately, my pride prevented me from following the right steps and building a solid foundation. I kept going at it solo. This is the part of the movie when you cringe and yell at the screen saying, “NOOOO! WHYYYY?” This turned into many more years learning from failures instead of learning the way to win in business. It eventually worked out, but only because I finally reached out and got the help I needed along the way. It would have shaved years off of the journey I have taken so far if I just admitted that I needed help to learn the skills and lay the groundwork. When uber-successful titans of business say they could not have done it alone, it has got to make you think that there is something to it. They didn’t just have a support network. They paid a lot of money educating themselves along the way, paid professionals for advice frequently, paid to be mentored by the best, and worked with the best; from coaches to consultants, to accountants, and lawyers. You must know what the professionals know and how to use their advice to be successful. You don’t always know best but someone out there probably does. So when making the switch to entrepreneur you cannot think you are destined for success just because you succeeded in your previous field of work or sport. It is like going through the fires of refinement all over again. This isn’t a smooth transition. It’s messy. But if you’re disciplined and reach out to the right help you’ve got a fighting chance. It’s just plain harder to push the mind and soul to the limits. As I sat pondering on those simple truths, I realized that during my formative years, I’d practiced and honed my body way more than my mind. Thus it’s harder for me to build the habits of working my brain out. Not impossible, but it just takes going backwards to go forwards. Going back into the fire to be humbled, teachable, and rise once more. Have you ever pushed your mind to the limit? To the mental equivalent of sweating or exhaustion? This is the next step. Push your mind! I remember in volleyball practice going so hard that many of the guys would be puking on the sidelines. Have you pushed your mind to puking state? This is what you need to do. We should also push ourselves to be in good physical condition, as this helps condition and balance of the mind. Are you conditioning your speech or social skills? Your strategic mind? Your business sense? Your negotiating skills? Are you visualizing success as we did as an athlete? Are you working on our teamwork and leadership skills? First of all, you must know, there is no speedy way, but there is a faster way. There’s a difference between these two statements, one is hoping a short burst of excellence will unleash what you want versus the small acts daily that will get you where you want to go faster. 1. The secret is consistent focus. This is the secret to life. Do something little every day and it will turn into something great over time. It ends up being faster than any other way. 3. Get a coach or consultant. They will keep you accountable and help see your business from a perspective you can’t. 4. Write what you learn. In a journal, on a blog, in a notebook. Heck, on a napkin. Somewhere to keep your thoughts organized and present to keep you accountable. A mentor of mine said if you want to be the best you have to read what the best have written and then build on that. He said to make sure you have the information right, and then try to build upon others ideas or bring your own into the world. You have to be able to back it up with research. He would have his researchers write publishable material every day from their learnings of that day, fully quoted with sources verified. Sounds intense? That’s what I’m getting at. Training your mind is tough stuff. Try it for a week. I did this to create a business plan up to my mentors’ standards in college and it almost killed me. I have never researched or read so much in such a short time. It was 25 pages, and every paragraph had multiple sources. It was exhausting, but it added to the bank of discipline for my mind. Start depositing in the bank of discipline, everyday. It will speed your transition and your success. Step back to go forward and humbly accept that square one is the only way to build the foundation after rising from the ashes. Become The Phoenix you were meant to be! It begins with my free Time Travel Checklist. It’s the next steps to accelerate your rise.